Monthly dues range between $29.99 - $99.99. Initiation Fees can range from $14.99 – $249.99 depending on membership. There is also an annual fee of $39.99. Free 3 Day Pass! 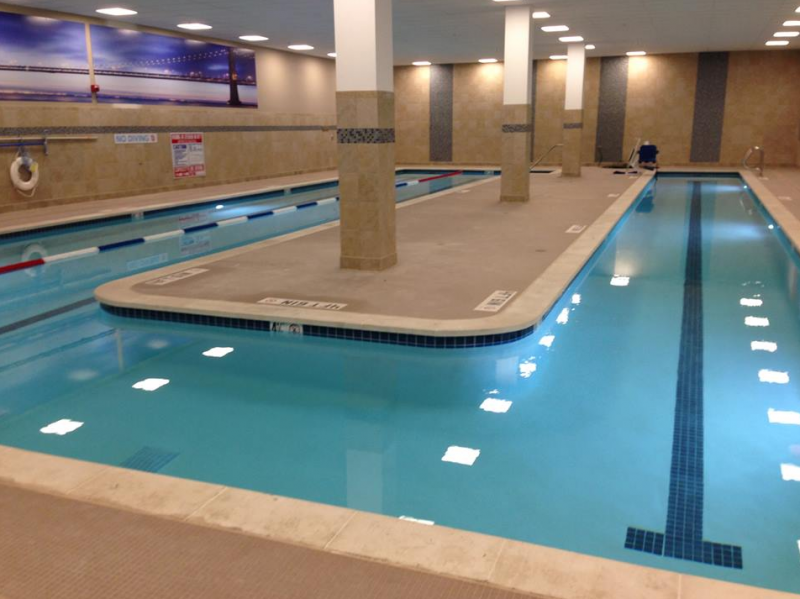 Experience a variety of amenities and group exercise classes. 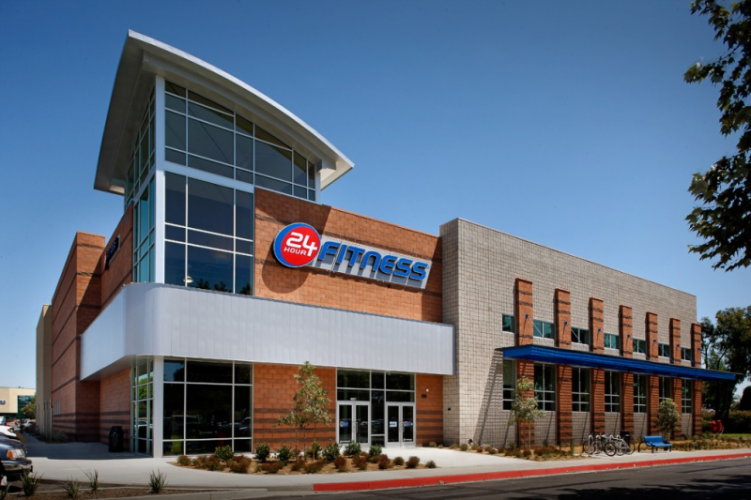 24 Hour Fitness has been in business since 1983 (originally under the name 24 Hour Nautilus) and since then, they have become a popular choice for fitness and workout enthusiasts in the United States. In fact they are the world's largest privately owned fitness club by number of members. As of 2015, 24 Hour Fitness has almost 4 million paying members and has more than 450 clubs in 17 states. This leading health club is ideal for people who plan to lose weight, tone-up, or train for a big event. There is a variety of club levels and membership options to suit everyones needs. Costs do vary slightly from location to location and costs also depends on what membership options and Club Level you select (more on this below). You can expect to pay anywhere from $29.99 to $99.99 for the monthly membership. On top of this you also have a Initiation Fee (one-time) of between $14.99 and $249.99, and finally an annual fee of $39.99. All prices and fees can change depended on what special is available at the time you sign up. Specials also vary from location to location. The other option you can go with is a Pre-Paid membership. These are usually cheaper in the long run but require one payment up front. There are many option available for a membership. For example, if you want access to a single location, you can opt for their One-Club membership. If you visit multiple gyms or travel frequently, you could select an All-Club membership (which costs a bit more). Family Memberships are also available which offer reduced rates when you bundle your family members together. Corporate membership rates are also available but you will need to contact the closest 24 Hour Fitness location to find out more about the benefits and prices. 24 Hour Fitness club locations fall under 1 of the 4 following Club Levels. Club levels are based on location, size of the club, group classes offered, and amenities. This is a moderately-sized club that may not include group classes. At the Active level clubs, you can get a full-body workout by using cardio equipment, strength machines, and free weights. Most locations also offer group exercise classes to add fun and motivation to your routine. The most popular type of club at 24 Hour Fitness. At the Sport clubs, you'll enjoy a wide variety of fitness equipment and group classes. Most locations offer steam room, sauna, and whirlpool, and some clubs feature basketball courts and/or lap swimming pools. Get all the little extras with your membership. At the Super Sport clubs, you will find towel service and plenty of equipment. In addition to functional training areas, and personal viewing screens on select cardio equipment, most clubs also offer whirlpools and saunas. 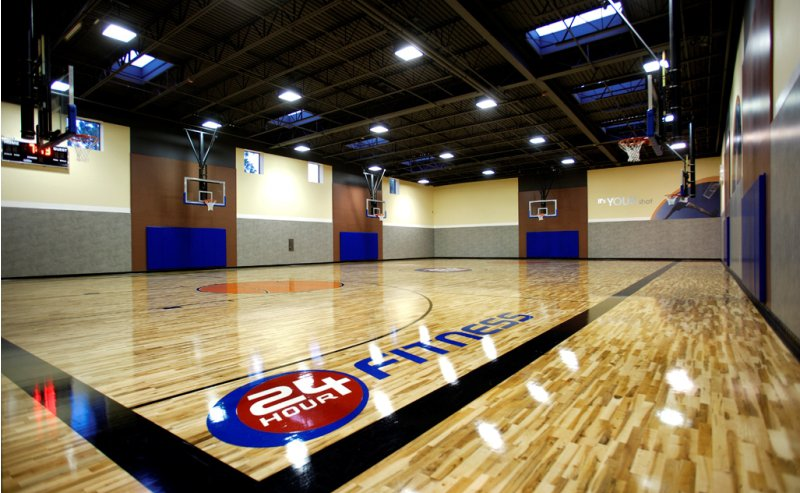 Most locations also offer basketball and swimming and some locations feature racquetball courts. Join a club that takes fitness as seriously as you do. At the Ultra Sport clubs, you’ll have high-end fitness amenities in a prime location. Enhance your workout routine with group cycling and a dedicated personal training area. Drop off your kids in their fun, safe and supervised Kids’ Club while you work out. They will have a blast playing with a wide range of toys, puzzles, activities and more. All of 24 Hour Fitness specially trained attendants are certified in CPR and First Aid and must pass a background check before they're hired. Kids Club is an extra cost that you can pay on a per use basis or monthly. 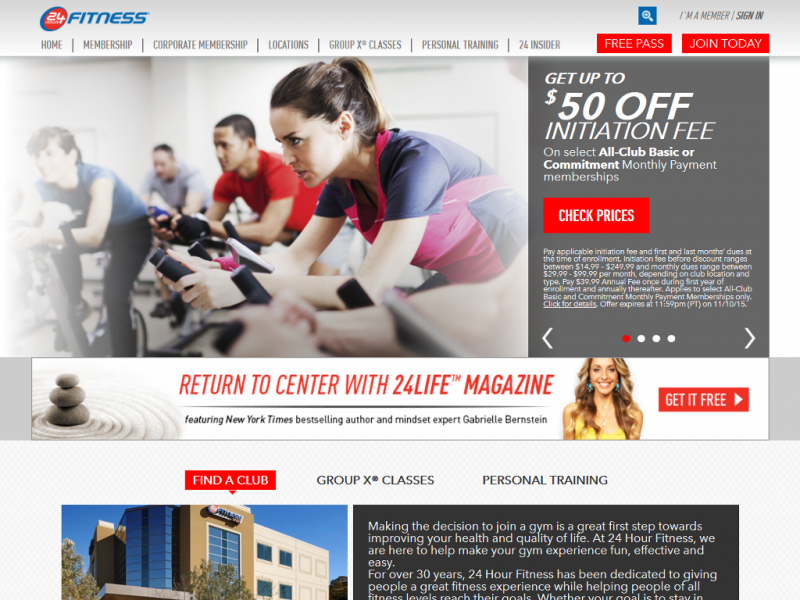 24 Hour Fitness has over 4,000 certified Personal Trainers to help you reach your fitness goals. This is accomplished by a free Fitness Orientation and Assessment followed by your Personal Trainer creating a customized workout plan for you. Personal trainers provide guidance and inspiration through programs tailored to your health and fitness now, and the results you wish to achieve. There are 3 training formats. You can have one-on-one training sessions, training sessions for 2 people, and 50 minute group training sessions. Group X is the name of the 24 Hour Fitness group exercise classes. The classes incorporates a motivating group atmosphere with expert class instructors to give you a fun and effective way to work out. The Group X classes offer something for everyone and range from high-energy Zumba and Cycling classes to soothing yoga and dedicated older adult class options. Classes do vary by location so if you are looking for something specific make sure to check it is available at the clubs location when you sign up. You now can stay fit while you travel in Canada. 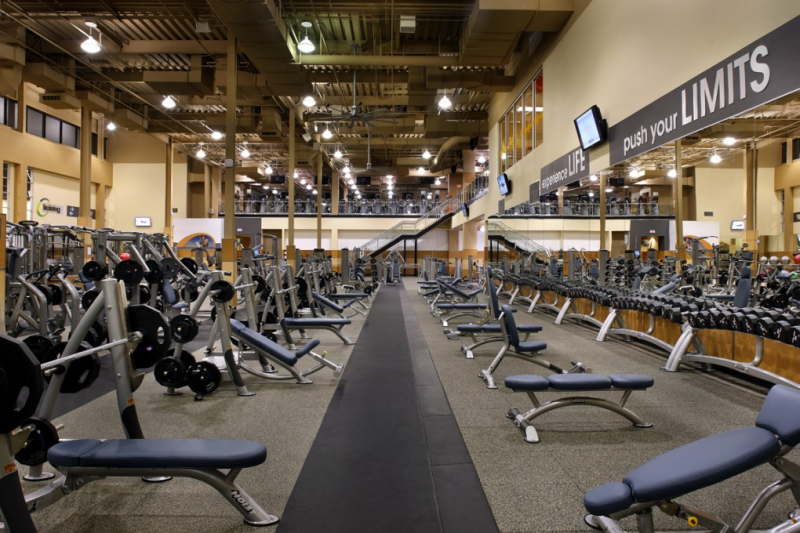 24 Hour Fitness has teamed with GoodLife Fitness to allow their members access to more than 230 clubs in the GoodLife network when travelling or visiting Canada. 24 Hour Fitness seems to know what everyone wants in a gym. A new club just opened last year in our neighborhood and not only is it well laid out, it has everything you could ever need for exercise and weight loss. It doesn't matter if you want to do some laps in the pool and cycle classes to stay fit, or tone your muscles by using using dumbbells and kettlebells weights (like me) they have more than enough equipment (even during busy times of the day) to keep you on track. I also like the 24 Hour Fitness app. It is a great companion to working out as you can track your progress and use many of the digital tools like the calculators to figure out where you need to improve. Great amenities. Clean clubs and change rooms. Well maintained. Membership options can be confusing. The club I use is clean and has fairly new and well maintained exercise machines. I ended up purchasing a 2 year 24 Hour Fitness membership from Costco. It saved me a fair bit of money at the super sport gym and works out to cost me only just over $27 a month. Those of you interested in joining the gym this is the cheapest way to go if you actually plan on using your membership. My introductory free hour with the trainer was informative and is worth it for newbies to fitness. I ended up paying for 10 sessions when I first joined on at 24 Hour Fitness. It is well worth the investment as it gets you started on the right track and helps you to use the equipment correctly so you get the most out of your workouts. Overall I have been impressed with 24 Hour Fitness. If you are into classes like Yoga and cycling them seem to have a lot of those as well. I haven't used them but the coaches look very energetic in the classes I have seen. The equipment at this gym is modern like at any other 24 hour fitness. It is very clean and well lit. I find at most big box fitness gyms that after a year or so after opening the place starts to have a bit of wear and tear and the janitorial staff starts to slack. I haven't found this to be the case at my home gym in Austin. I also travel a lot for business and have used a number of 24 hour fitness gyms across the United States. Most are very good, well organized and clean. I haven't done any fitness classes except for a couple of spin classes so I can't really comment on the trainers and the classes themselves but the ones I have seen while I work out always look busy and the instructors seem to know what they are doing. I mainly use the weights and the treadmills. I never had to wait for a treadmill, even during peak hours. If you do go during a busy period just keep an eye out for the machine you want and when it is available grab it during your workout and then continue your weights after. The weight gym has lots of equipment and my fellow members have always been nice and willing to spot if need be. I haven't used the pool yet as swimming isn't my thing. I actually may join their basketball league at my home gym though. It's free and the guys in it look to be my skill level. You can really work up a sweet when playing and I find playing sports much more enjoyable than getting my exercise by running on a treadmill. Super clean and recently renovated. Newer machines. I like 24 Hour Fitness compared to other gyms near by because they have everything under one roof. I can swim, weight train and take fitness classes. The change rooms and showers are clean and there is lots of room to get dress. They have plenty of cardio machines so I have never had to wait. There is also lots of parking. I had a trainer as well for a month. I had initially worked out by myself for 6 months and was not seeing the results. My trainer Dave was very knowledgeable and was able to develop a workout routine that fit me. He showed me how to do the exercises properly so I would maximize the workout. It definitely changed things and now I am loosing weight and looking much more fit. Trainers are great, Lots of things to do. I signed up for a 3 year contract about a year ago and I have been using the gym ever since about 3 to 4 times a week. I have lost over 30 pounds and I feel happier, healthier and just love life more. Loosing weight and physical activity is a great way to change your outlook on life. At the gym I go to they have a pool and lots of fitness machines like treadmills and ellipticals. I always get one when I want. I work out usually mid morning after a group fitness class. I also really like the trainers of the group classes. They are very professional and knowledgeable. When I lived in the city my condo had a small gym which I used contently. Not the best but it had what I needed for the most part. Well I got married about a year ago and we moved out to the suburbs into a nice house. While I have room in the basement to add a workout room I didn't want to spend the money on the room and buying the weights etc. I looked into bowflex briefly as well but decided against it. I also miss working out with other people as for me it provides motivation. After gaining a few pounds I figured enough was enough and I joined 24 hour fitness that was somewhat close to my work. It would be better closer to my house but it was the best option in terms of cost, location, equipment, and pool (in order of importance to me). I am glad I did. I usually work out after work and while the gym is busy it is not overly so. I always get the equipment I need during my workout. I have made a number of friends that I exchange tips with and help spot. The free personal trainer session was also nice and I was able to modify my current workout and exercise routine for the better. I am targeting my legs more now which I hadn't before. While no one really wants to spend money on a gym membership I can't complain about mine. It is not too expensive and it was cheaper than the bowflex financing program I had checked out. I forgot to mention that the fitness classes seem good as well. I haven't done one yet as I rather use a tread mill but I think my wife wants to join and I know she will be interested in the variety of programs that 24 hour fitness offers. Excellent free weights area. Lots of tread mills.